Dr. John Montoya’s mission is to provide value and choice to his patients. He believes that individuals should be free to choose the treatment option that best suits their needs. Put simply, this office is driven by value rather than insurance minimums. At our office you will find the finest quality materials, a caring team of professionals, and a skilled dentist with an artistic eye. An exceptionally well-trained general and cosmetic dentist who makes helping others his priority, Dr. Montoya helps his patients have the best experience possible through the use of the latest advancements in dentistry. He is most content when giving others a reason to smile. Dr. Montoya is passionate about keeping up with the latest advances in dentistry. 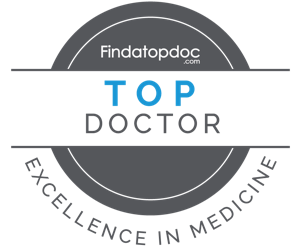 To stay on top in his field, Dr. Montoya completes hundreds of hours of postgraduate dental education every year, studying with the best dentists in the world. Dr. Montoya also mentors students from the local universities who are considering the field of dentistry. Dr. Montoya is committed to his community and volunteers his time in many different organizations. As a health provider that is well trained in his field, Dr. Montoya feels a strong sense of duty to give back where he can, not only morally but professionally as well. Dr. Montoya realizes that a lot of organizations function strictly by volunteers and he enjoys providing his time and service in ways that he can. Dr. Montoya is a past member of Rotary International and Kiwanis International. He actively commits his time to the Susan G. Komen Breast Cancer Foundation and collects Halloween candy and letters to send to the troops every year through Operation Gratitude. He also takes dental mission trips when possible and donates his time to give care to those who do not have access to care. He has been to the Dominican Republic and Nicaragua so far and is hopeful to visit again in the future. His favorite leisure activities include but are not limited to, spending quality time with his family, mountain biking, fishing, reading, golf, tennis, racquetball, photography, travel, riding motorcycles, and relaxing with friends. He is most passionate about his faith, his family, and his education.